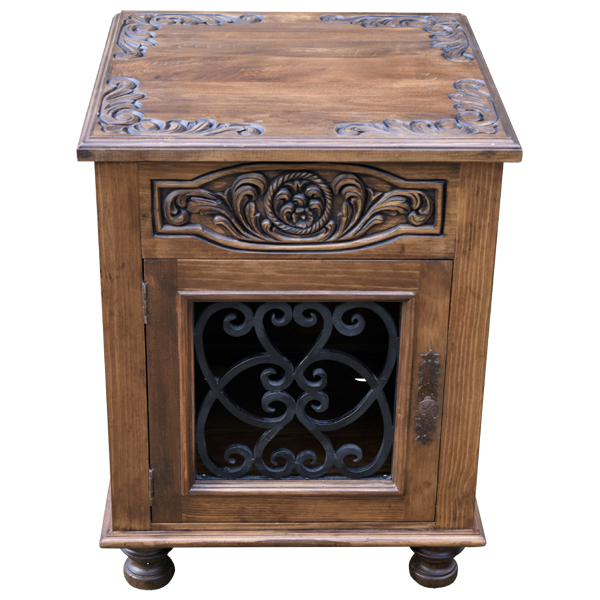 This handcrafted, Spanish colonial style end table with Baroque details will be a wonderful addition to your Western décor. 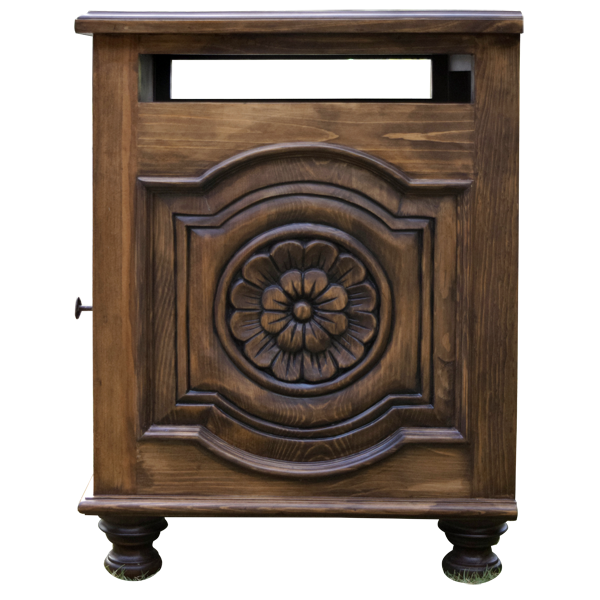 Each corner of the end table´s table top is embellished with ornate, hand carved, floral designs. The front, top apron is also adorned with exquisite, hand carved, floral designs, with a hand carved flower in its center. 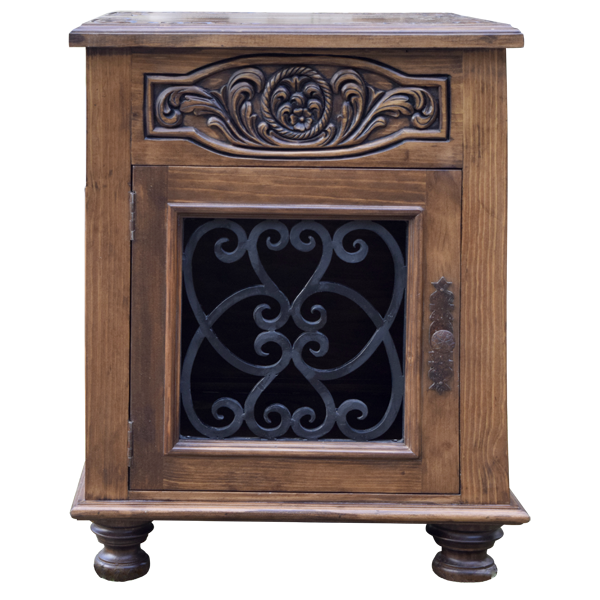 The end table has a front, square, cabinet door and the cabinet door is covered hand forged, curved, iron designs. The top of each side of the end table has a rectangular, open area, and beneath the open area is a geometrical cut design. The geometrical cut design has a spectacular, hand carved, double flower in its center. 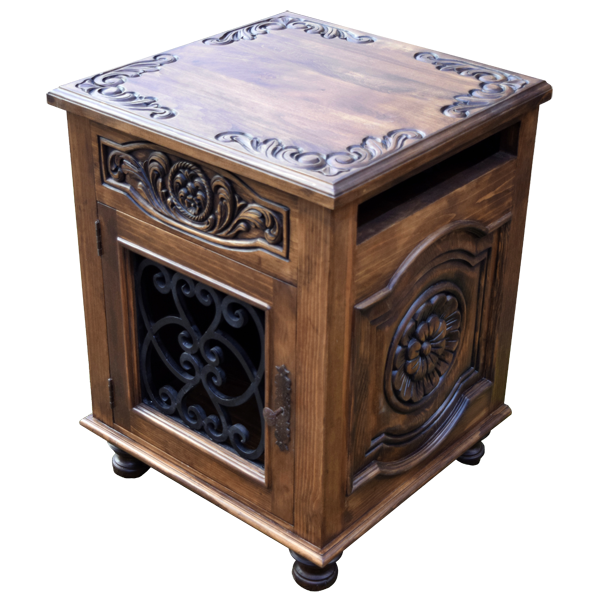 The end table rest on solid wood, hand turned, bun feet, and it is 100% customizable.